Washtenaw County's Affirmatively Furthering Fair Housing (AFFH) subcommittee has just released a report looking at how 12 Washtenaw County have changed over time. 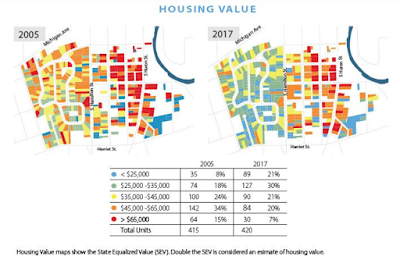 One of the biggest trends in the report is that State Equalized Values (SEV is approximately 1/2 market value) in 2017 are lower than SEVs in 2005 in all neighborhoods except for Ann Arbor's Water Hill. 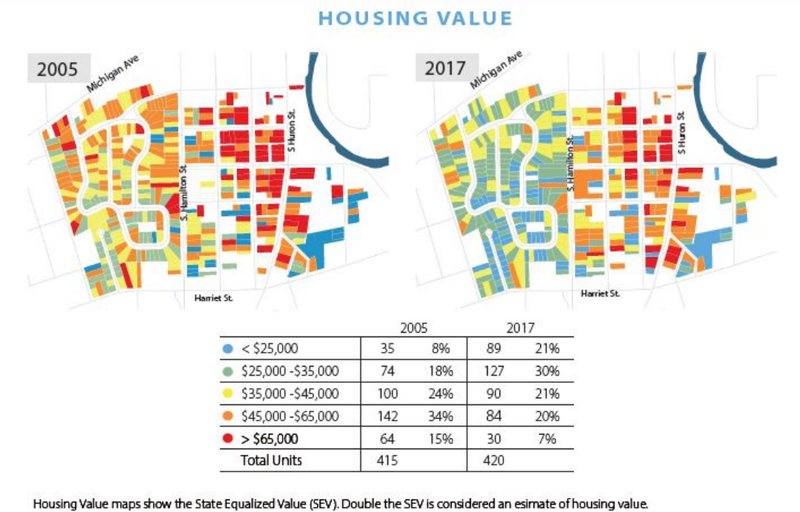 In two other neighborhoods, Ann Arbor's Packard & Platt neighborhood and Pittsfield Township's Carpenter & Packard, SEV is almost the same in 2017 as it was in 2005. The report also looks at racial and employment demographics in neighborhoods over time. One of the trends that stands out in the demographics is the decrease in the percentage of African American or Black residents in the three Ann Arbor neighborhoods. In the majority of the 12 neighborhoods, there has been a shift from owner occupied homes to rental houses. There's a lot to digest in this report.